JP Gould Specialty Materials provides extraordinary depth in the development, supply and application of specialty papers, chemicals and nonporous materials. What’s more, our well-established expertise in specialty paper technology, markets and manufacturing helps our customers get the right materials quickly. These customers rely on our design process thinking to help them identify overarching problems with supply, application, or technology, and to provide solutions that drive positive results. In addition, because we work with a diverse range of customers worldwide, we can often apply what’s worked in one region to known problems in another. Our experienced professionals also have access to global resources, including warehousing, distribution, financing, and suppliers for even the most hard-to-find substrates. Since specialty papers and substrates are all we do, we can offer high degree of expertise, backed by solutions customized to your business. We drive value by partnering with suppliers to support innovation, efficiency and technological advancement. We also partner with our customers to give them the benefit of our global sourcing, outsized buying power, and unmatched expertise. You can get clear guidance on products, processes and applications from our technical experts. They also provide in-depth knowledge on related areas, including coating and converting. Meyer Weiss is one of the industry’s most experienced executives. 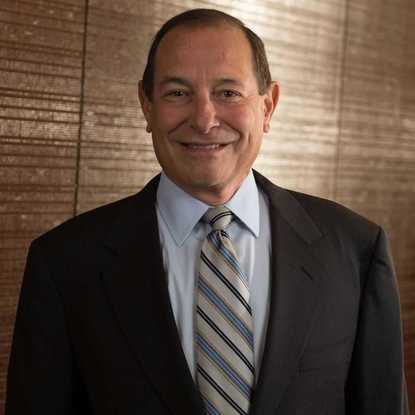 Throughout his more than 40-year career, Mr. Weiss has held significant management positions at leading industry firms, as well as offering his expertise to many industry trade groups and conferences. Prior to joining JP Gould in 2010, he was Vice President of Digital Imaging for InteliCoat Technologies. He was also a founding partner of Media Solutions International, Inc., where he pioneered work in the development of linerless label materials. Mr. Weiss holds a Bachelor of Science degree from Rochester Institute of Technology and is a former member of the Institute’s Graphic Arts Industry Advisory Committee.